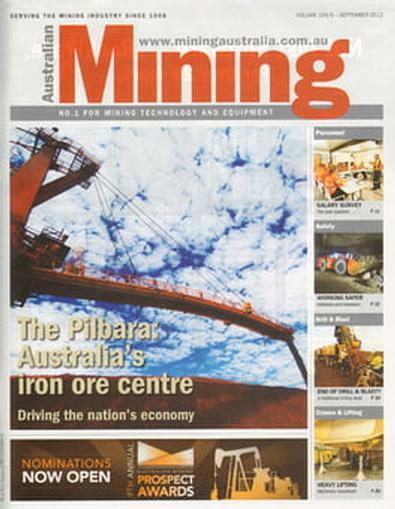 Serving the industry since 1908, Australian Mining is well respected for its strong, relevant and independent editorial content. Australian Mining provides an in depth look at trends and developments in the mining industry, as well as the latest technology, equipment and services that mining professionals rely upon. Australian Mining also features comprehensive overviews of leading Australian mines, providing insight into ‘best practice’ sites.